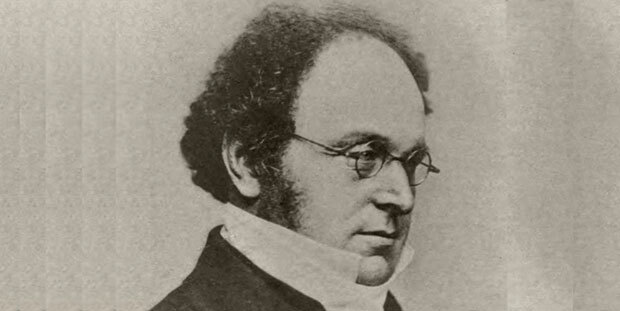 Augustus De Morgan was a British mathematician born on 27th June 1806 in Madras, India. His father was posted there with the East India Company. When Augustus was seven months old the family decided to move back to England. De Morgan got his early education from various private schools none of them being very famous. Thus his mathematical skill was unnoticed till he was fourteen when a friend of the family discovered a mathematical drawing made by him using a ruler and compass. He was taught most of his secondary education from a Fellow of Oriel College, Oxford. De Morgan’s mother was an active church member and wanted her son to become a clergyman however De Morgan had different plans. In 1823, De Morgan enrolled in Trinity College, Cambridge. He also held a passion for music which became his recreation at Cambridge as well. Thus he obtained his degree of Bachelor of Arts but for a Master’s degree he was obligated to pass a theological test, a rule to which De Morgan was strongly opposed. De Morgan on seeing that no real career option was open for him decided to do bar in London. De Morgan was a very capable mathematics teacher. His way of teaching was highly appreciated by the students. His ability to illustrate mathematical principles with thorough brilliant dexterity outweighed the other teaching methods used at the time. De Augustus De Morgan was actively involved in the promotion of an Indian mathematician Ramchundra who was a self-taught actuary. De Morgan got married in 1937 to Sophia Elizabeth. He had 3 sons and 4 daughters. One of his daughters Mary de Morgan became a famous author. De Morgan was a very good writer. He corresponded with William Hamilton for almost twenty five years often discussing mathematical matters and other subjects in general. It is said that if the works of De Morgan were ever to be collected they would form a small library. He wrote for many including his writings for the Useful Knowledge Society. He also contributed to a Philosophical Society at Cambridge with four memoirs on basis of algebra and four on formal logic. His best known works in algebra include ‘Trigonometry and Double Algebra’ which was published in 1849. His work ‘Budget of Paradoxes’ is one of his most distinctive works. De Morgan was the discoverer of relation algebra. His work ‘Syllabus of a Proposed System of Logic’ was published in 1860. He framed the ‘De Morgan’s Laws’ and was the creator of the term ‘mathematical induction’. It was first used in his article ‘Induction’ (Mathematics) published in the ‘Penny Cyclopedia’ which was a journal of ‘Society for the Diffusion of Useful Knowledge’. During his life he wrote over 700 articles for the Penny Cyclopedia. Another famous work published in it was De Morgan’s ‘The Differential and Integral Calculus’. De Morgan suffered the loss of two of his children one of whom was his son who was also an aspiring mathematician. After that He resigned from his post in University College and died on 18th March 1871. Apart from his great mathematical legacy, the headquarters ‘De Morgan House’ of the London Mathematical Society and the student society of the Mathematics Department of University College is named ‘August De Morgan Society’.